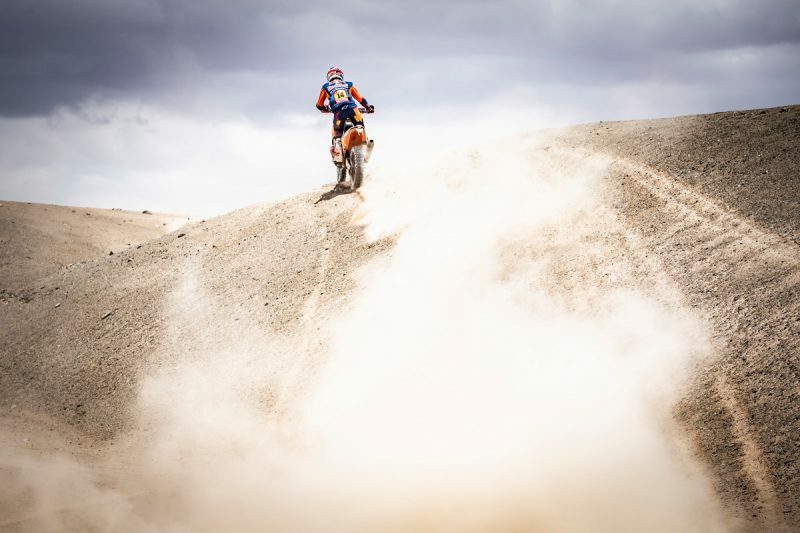 The two-week event is not part of any world championship and there is no huge prize fund for the winner – it is simply one of, if not, the greatest offroad motorcycling challenge. 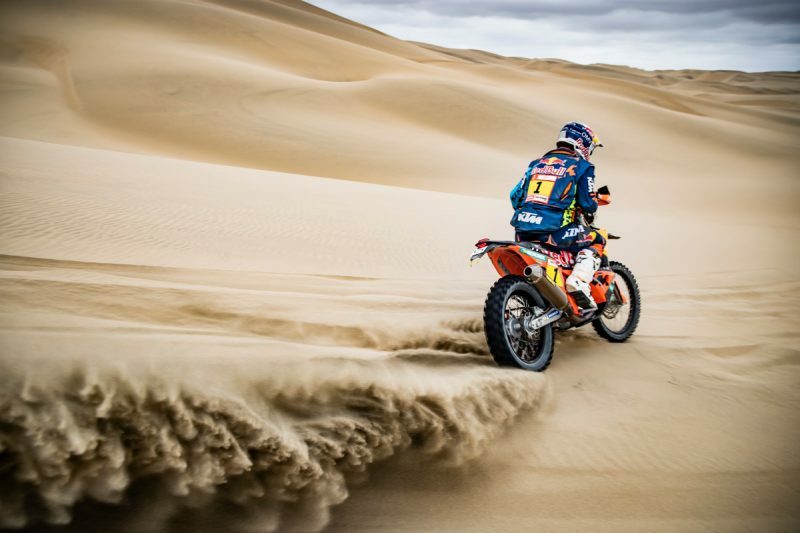 The Dakar Rally is the one everybody wants to win. From a layman’s perspective, it might seem that there isn’t much in the way of competition for the KTM team. 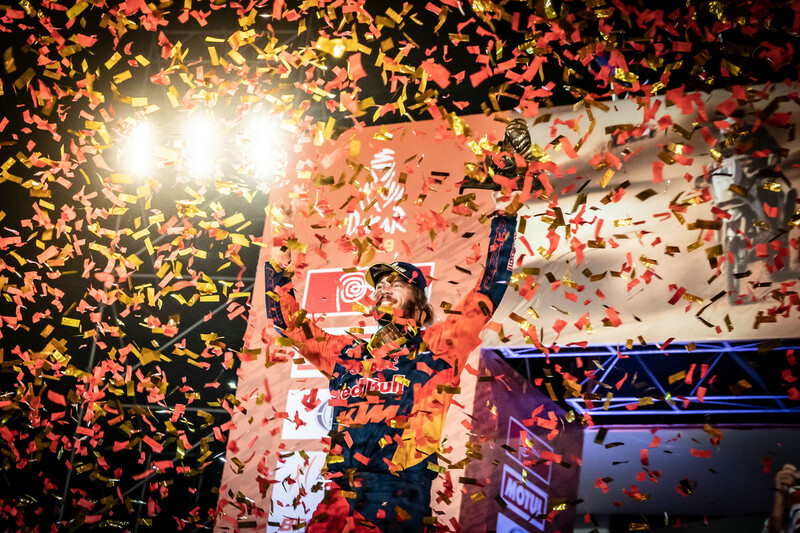 Toby Price´s 2019 victory marked the Austrian brand’s 18th consecutive Dakar victory. However, the unequalled record at the race is not down to luck, or a lack of trying by rival teams, it is down to an incredible team, passionate riders and intense preparation. All of which starts the moment the previous year’s rally finishes. The process of development is always ongoing. 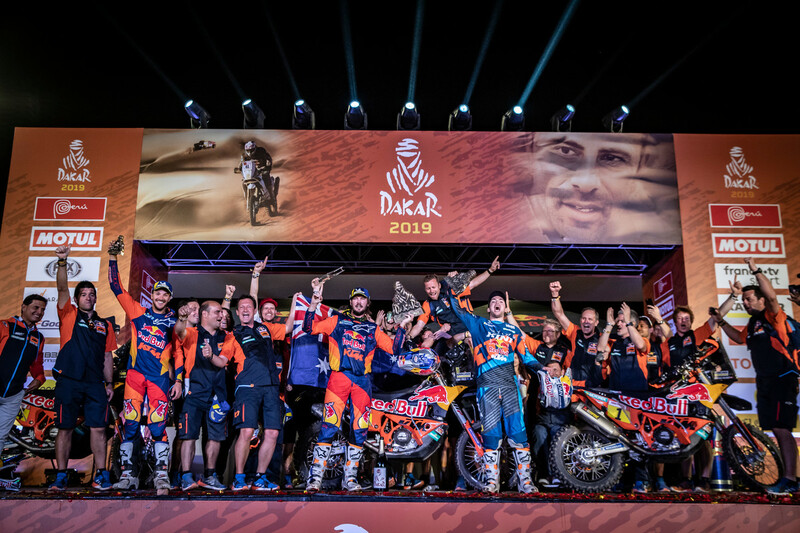 In late 2017, the team debuted the newest version of their KTM 450 RALLY machine at the final round of the FIM Cross-Country Rallies World Championship in Morocco – it won first time out under the control of Matthias Walkner who then rode it to victory at the Dakar a few months later. Despite its success, the bike has been continually developed throughout the 2018 FIM Cross-Country Rallies season. Work has been done to the engine to make the power delivery even smoother, this becomes incredibly important on the longest of stages where riders start to tire and anything that can conserve a rider’s energy becomes extremely valuable. The suspension is also an area that has received attention over the course of 2018. With such long distances covered and stages comprising a mixture of different types of terrain, the absolute perfect suspension setup is simply not possible. A setting that might suit soft, rolling sand dunes may not perform so well if the stage then takes riders onto a fast, rocky track. It’s all about finding a compromise and an efficient set up that handles well while not making the rider work too hard. It’s not just the bikes that can be upgraded on the run up to Dakar, so can the riders. Fitness and strength are the obvious attributes needed to race for 100s of kilometers each day for up to two weeks, but one of the less obvious challenges faced by all competitors is the sheer fatigue and mental strain imposed by such a tough event. 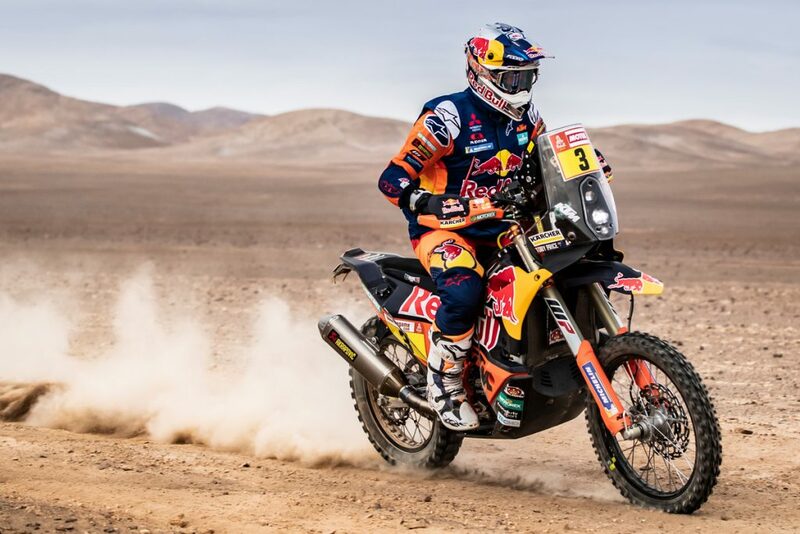 Riders prepare for the Dakar by working closely with nutritionists and physiotherapists throughout the year and especially on the lead up to the event. Some, it has to be said, are stricter than others but the fact remains, to compete at the very top level, you have to be in excellent shape. The rally itself takes its toll on the riders, even with an accident-free run, the physical strain is huge. Crashes do happen and even the smallest of falls can produce bruises and sprains that have a cumulative effect as the race progresses. Carrying an injury when entering the rally is of course never a good thing – there can be a lot said for the power of adrenalin when competing. Sometimes riding is the best medicine. 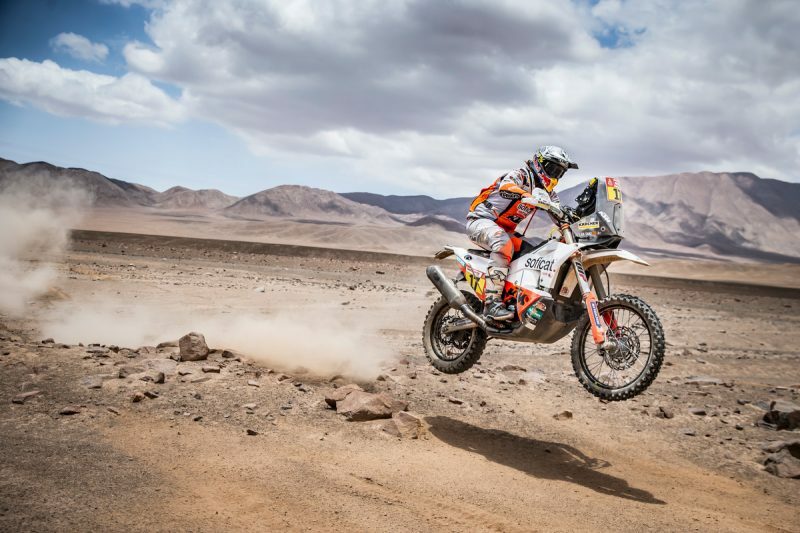 One aspect of cross-country rallying, and the Dakar specifically, is the lack of sleep and mental strain faced by the riders – this situation is not so easy to prepare for. There are few sports in the world where its participants have to perform for so long, at their maximum level, often alone and with very little rest in between each day. The mental strength required to pull this off is huge and not every top-level rider is cut out for the solitude that rallying can present. 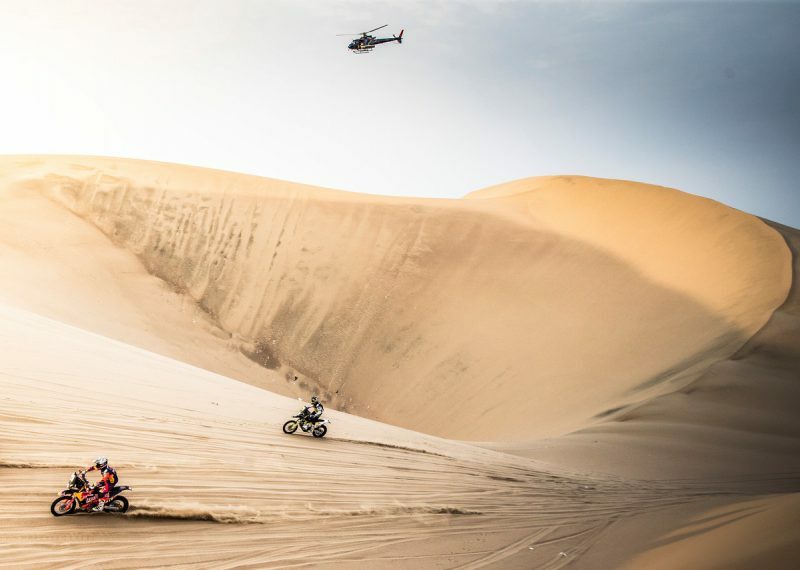 As the year progresses and the Dakar looms closer, riders and the team set about their final preparations for the most important event of the year. The bikes and team vehicles are packed up and loaded on to the ‘Heritage Leader’ that sets sail from Le Havre in France. Close to 300 race vehicles travel on the ship across the Atlantic, through the Panama Canal and arrive at the port of Lima in Peru at the end of December. The team themselves undergo one last test in the dunes of Abu Dhabi, the aim of which is to finalize those last few settings on the bike and suspension, cover navigation skills one last time and to simply bring the team all together before the trip to South America in January. The riders then have a few weeks remaining to train, to relax, to prepare themselves mentally for the challenge ahead. Each rider spends his or her time differently with some choosing to maximize their training time and others taking a final chance to relax with friends and family. 2017 Dakar Rally Champion Sam Sunderland is one rider who makes the most of his downtime, he’s never far away from a bike, or the sand.